Coming from a Floridian I'm honestly not to scared of this hurricane. Don't get me wrong though. 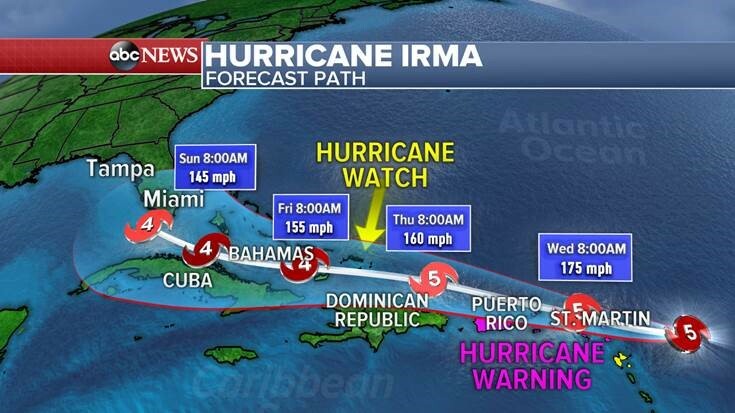 If you are in the southeast of Florida it's time to pack up your bags and precious belongings cuz' dat' shiz's scary! I, however, am coming from the Pinellas County area. With that being said we've always had close calls with hurricanes. But for some reason... they never seem to hit Pinellas County. It never happens. It gets threateningly close... and then it just makes a sharp turn away almost every time. I do see people in this county lining up for gas and I think to myself: "Should I prepare for this hurricane?" Eh. I'll fill my bathtub up with water and that's about it. I'm not really to worried about it. What about the rest of you local Floridians? Are you scared? Are you in the southeast area? Leave a comment below I would love to hear your thoughts. Decent opinion blog, but if you want to be a writer, think grammar and punctuation. It's important to know the rules before you break the rules. Not TOO worried about homophones or not too worried about proof reading?